Benjamin Berg, MD, who conducted a breakout session about Curriculum Development and Integration. Jeffrey Groom, PhD, CRNA, spoke at a breakout session on the topic of Building Simulation Projects & Papers, and also held a session titled "Climbing the Bridge to the Top 10 Articles". 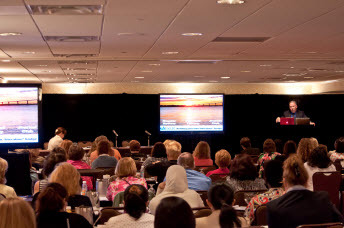 Melinda Fiedor Hamilton, MD, MSc, whom is a WISER Associate Director, was also a featured keynote speaker. Dr. Hamilton gave a presentation titled, "Simulating a Seamless Move". Suzie Kardong-Edgren, PhD, RN, presented the topic titled "Crossing the Bridge from Simulation to Publishing", and conducted a breakout session with Dr. Groom titled Building Simulation Projects & Papers. John M. O'Donnell, CRNA, MSN, DrPH, one of WISER's own Associate Directors, helped to welcome all of the participants to the symposium, and spoke on topics such as "Structured and Supported Debriefing: How to Reinforce Your Student's Learning", and "Assessment in Simulation: Making it Fun". WISER's own Director, Paul Phrampus, MD was also a featured keynote speaker. He presented the topic titled "Past, Present & Future Building the Simulation Bridge". 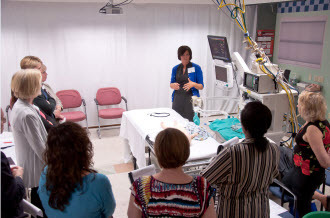 WISER looks forward to hosting another successful Nursing Symposium next year.